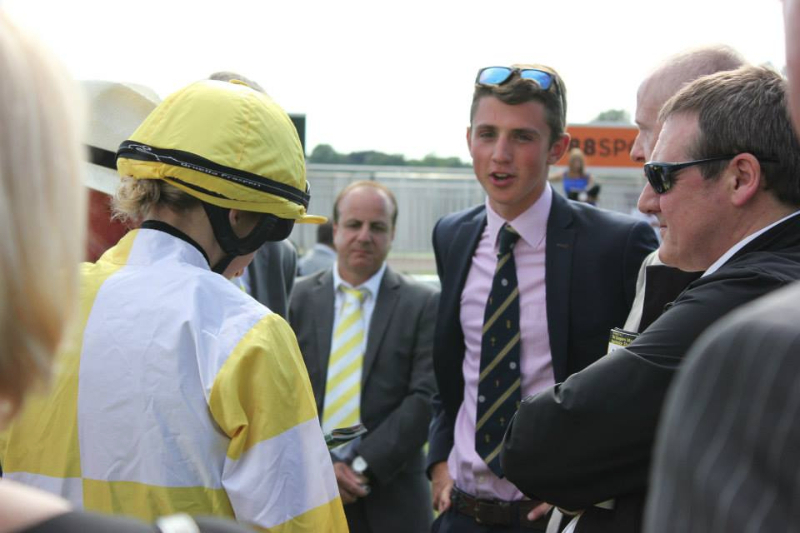 There was just the one runner last week and it was Bleu Astral who ran at Salisbury on Saturday night and he was ridden by Cam Hardie in the seven furlong claimer. 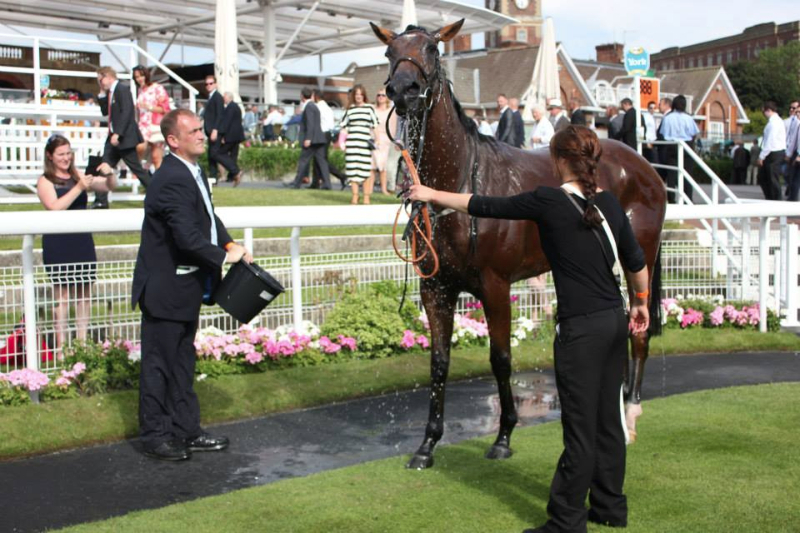 Rain on Friday had come in time for the horse and plans were in place to stop him boiling over before the race like he did at Chepstow previously. 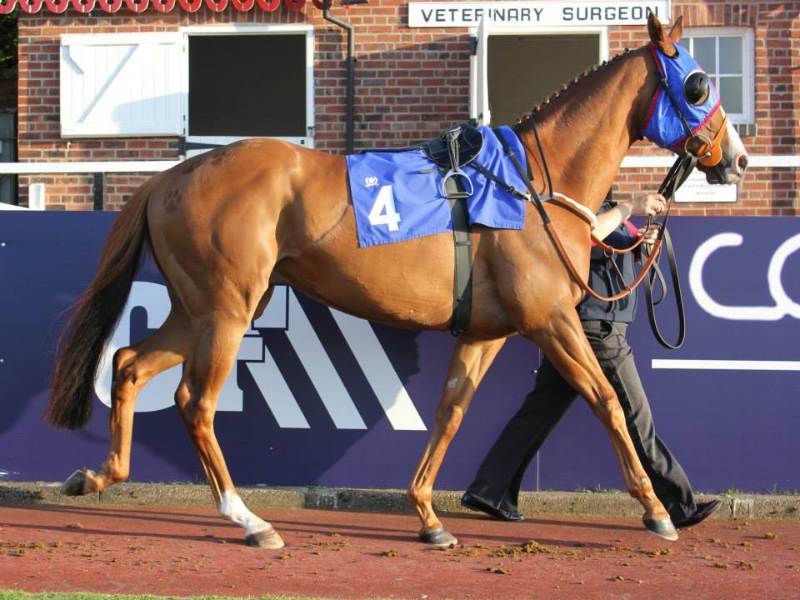 He was saddled in the stable boxes and came into the parade ring later than the other runners and immediately went down to the start and the horse took everything in his stride this time around. From the off Cam settled Bleu Astral against the far rail tracking the other horses that were grouped together. Bleu Astral looked a lot more relaxed during the early part of the race. As the field hit the three furlong from home marker the pace quickened and Bleu Astral was caught flat footed and came under pressure. Cam moved the horse from his rail position and came round the outside of the field losing some ground but enabling them to get a clear run. At the furlong from home marker Bleu Astral was under serious pressure and was not gaining on the leaders who had gone a few lengths clear of him, howe haver inside the final half a furlong, although the ultimate winner had gone beyond recall, Bleu Astral relay put his head down and was running on strongly at the finish and in a bunch photo finish for the minor honours he grabbed third place and in a another stride would of finished second. 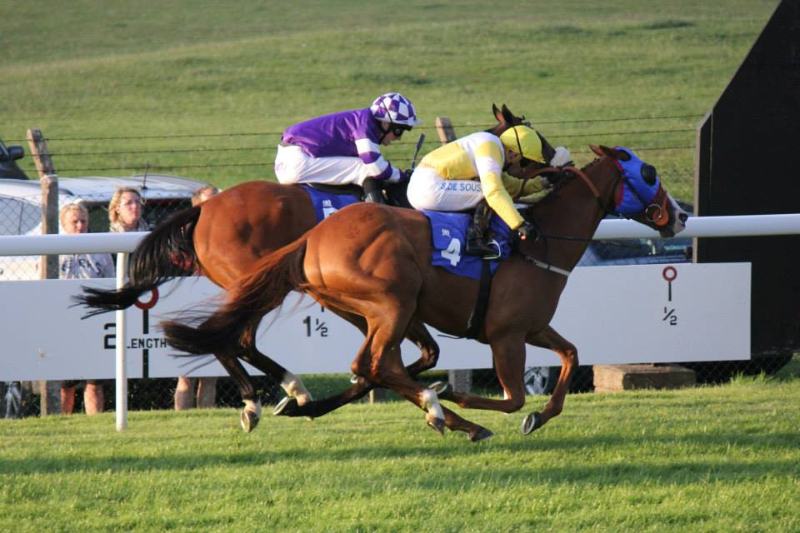 A much better run from the horse and the feedback from the jockey was positive indicating a step up to a mile will really suit the horse. 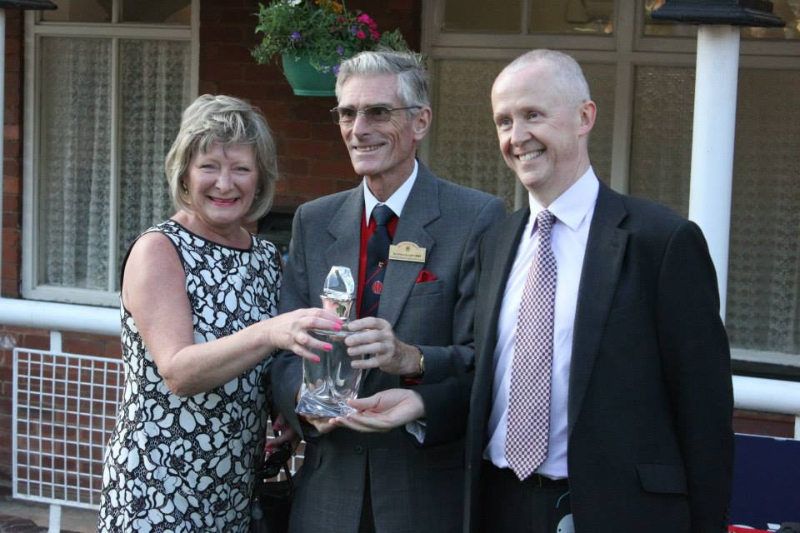 Check out our Summertime video compilation – Winners! 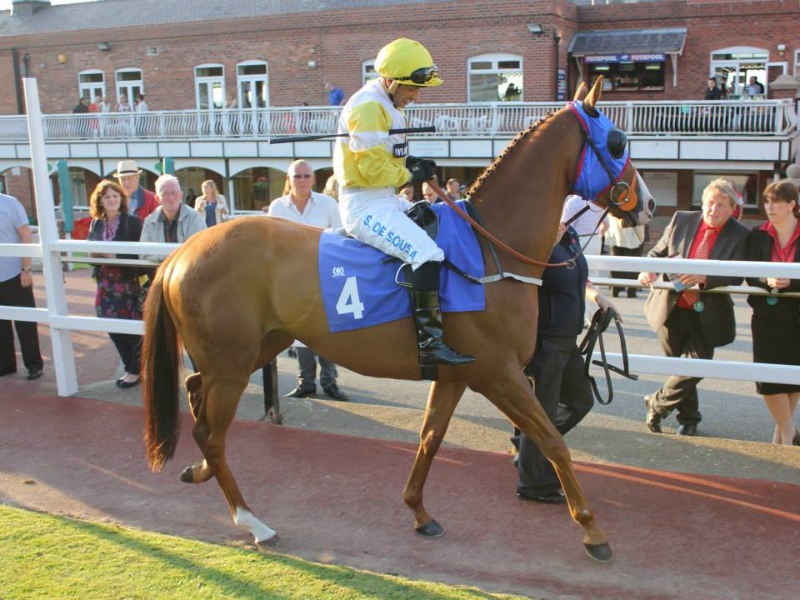 Mystical Moment ran at Thirsk on Tuesday night in the seven furlong handicap and Fergal Lynch rode. She had a nice draw in stall two and after two solid performances it was hoped that she would again run well in this competitive event. Breaking from the stalls Fergal settled MM against the rail and they were in midfield tracking the early pace being set down the far side of the course. As the field turned into the straight the field were well grouped together and Fergal was trying to get MM off the rails so that she could mount a challenge. 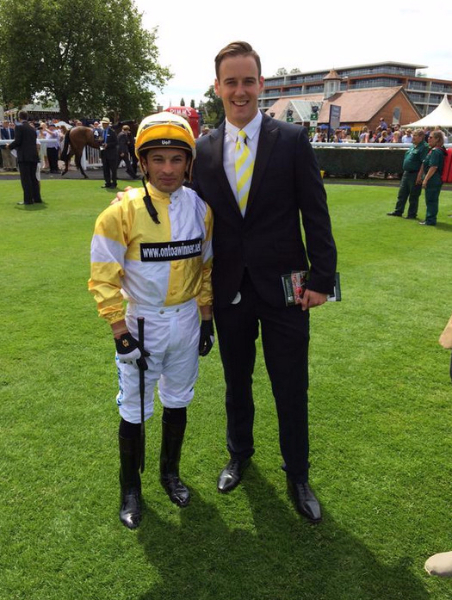 Two furlongs from the finish Fergal edged out MM and they began to try and progress forward. With lots of horses still in contention it was very congested and every time Fergal tried to get a clear passage for MM to run into the gaps closed and Fergal had to take a pull on MM a couple of times . Inside the final furlong MM hung slightly to her left and again was denied a clear route through until the final seventy five yard Fergal pulled MM to the right and they finished to good effect getting up to finish in sixth beaten just over three lengths. 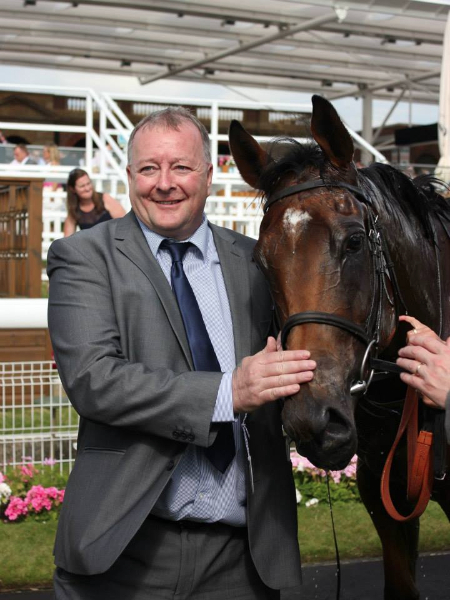 It was another solid effort from MM who had very little room to work with inside the final couple of furlongs and with a clearer passage would have been a lot closer to the placed horse. MM was scoped later in the week and has been found with some mucus, so considering that she might have been closer and this was a gutsy effort in the circumstances. 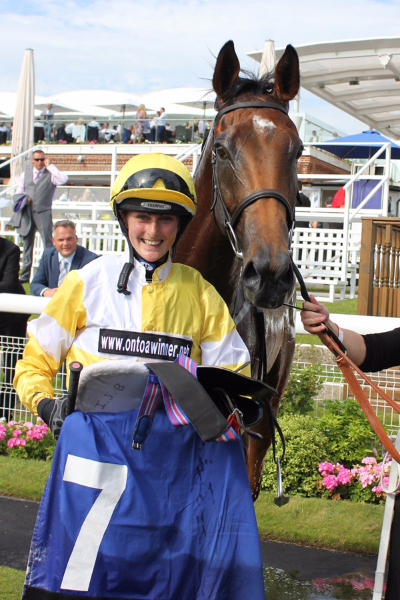 Thursday saw our two most expensive purchases have their first races when Quiet Reflection went to Hamilton and Tabikat Elle went to Doncaster. Both are by the sire Showcasing who had also produced Toocoolforschool. 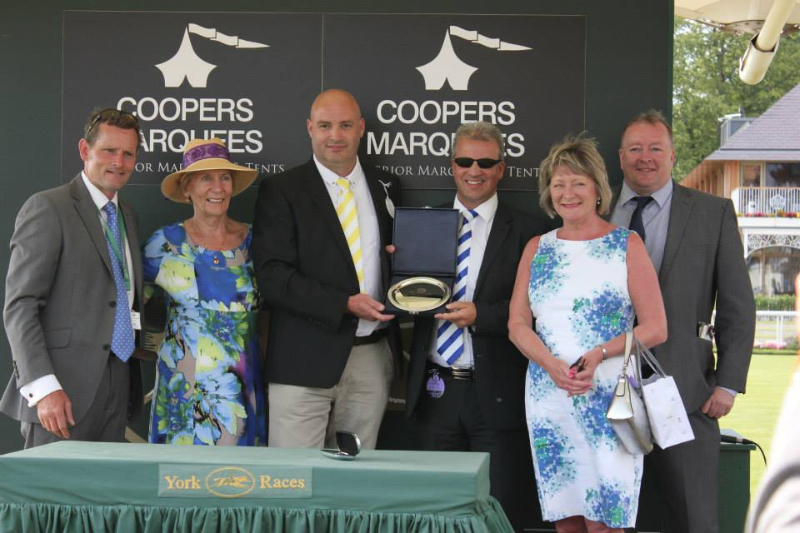 Both had been purchased at the breeze up sales and Karl had given them both an entry in the Group 2 Lowther Stakes race at York in August and the reports from the yard were that they had done everything nicely at home and were nice fillies. 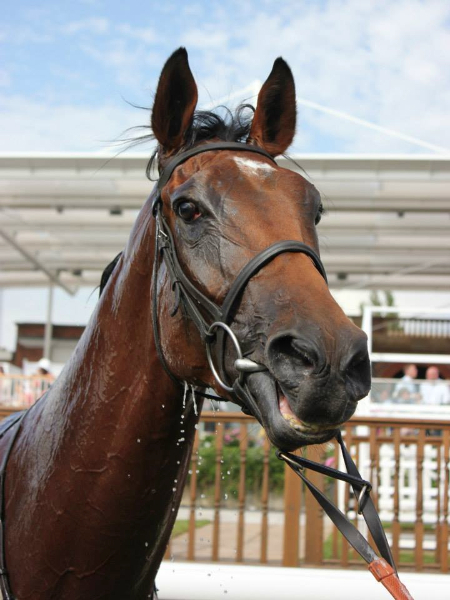 You never know until a horse races what is under the bonnet but hopes were high that they could produce nice performances in their respective races. 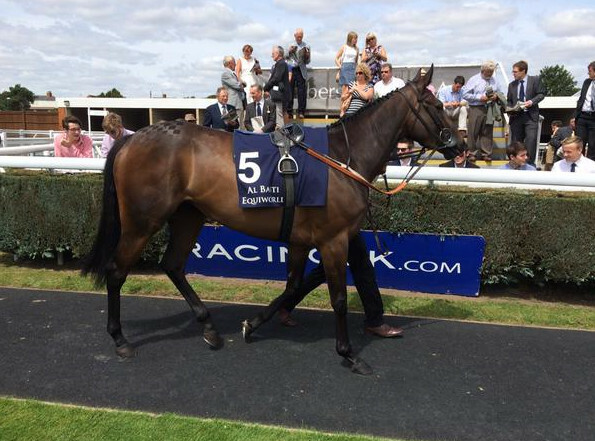 Quiet Reflection was up first when she ran in the five furlong maiden with Joey Haynes riding and he took three pounds off. 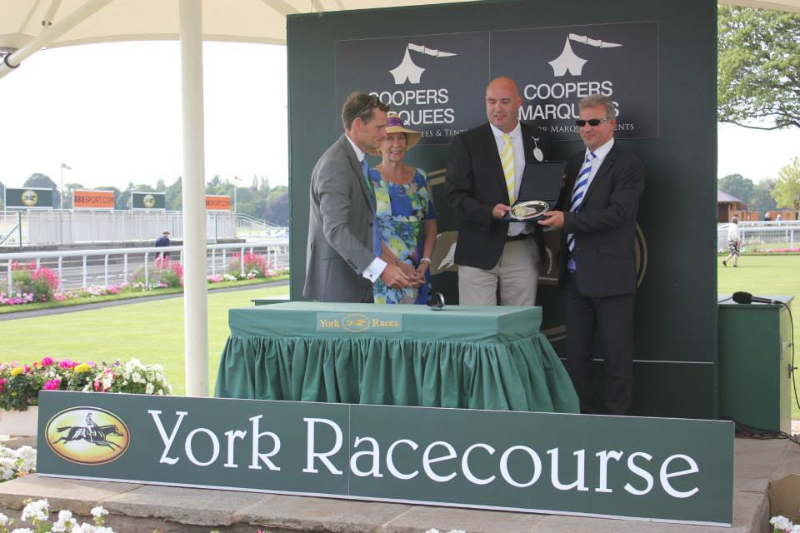 She was sent off second favourite whilst there was plenty of money for a horse that had run respectively at York on its first run. From the off Quiet Reflection jumped out of the stalls very professionally and was tracking the early pace being set, Joey was content to have Quiet Reflection positioned to the outside of the field and although she had no cover QR was settled nicely. Joey was siting motionless in the saddle as the field charged down the hill at Hamilton towards the final climb for home starts. As the field were just outside the final furlong Joey was still sitting not having moved a muscle whilst all the jockeys were pushing away at their mounts to try and keep up with QR who had now edged into the lead. Joey shook the reigns and asked QR to quicken her speed and lengthen her stride, at this point you can only say the response was breath taking and certainly very impressive. 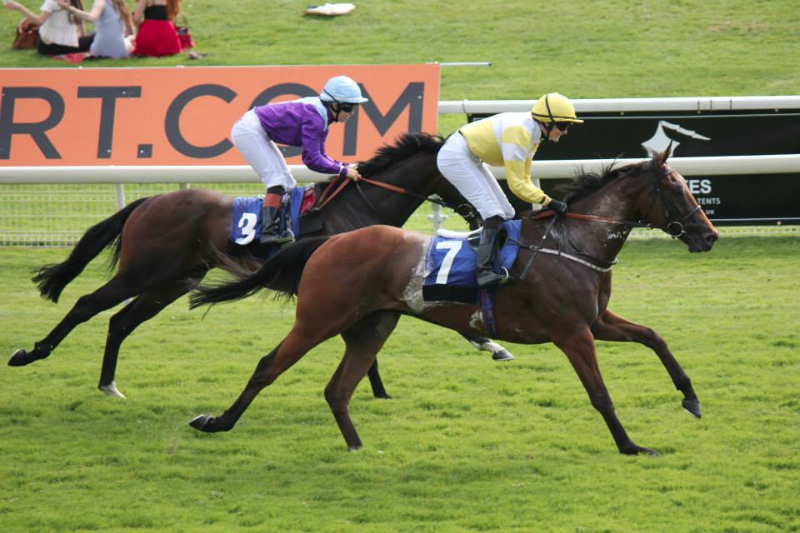 Within a matter of strides QR had put five lengths between herself and the rest of the runners and she was shooting clear towards the winning line. The closer she got towards the finish the more distance she put between herself and the rest of the field and having glanced towards the big screen showing the race in the last seventy five yards Joey stopped riding and allowed QR to coast over the line pulling her up in the process and crossing the line for the win, she still had five lengths to spare over the second placed horse. A truly brilliant performance and although you never know what you might of beat in these races the jockey on the second horse reported afterwards they believed their horse to be alright and not without ability. 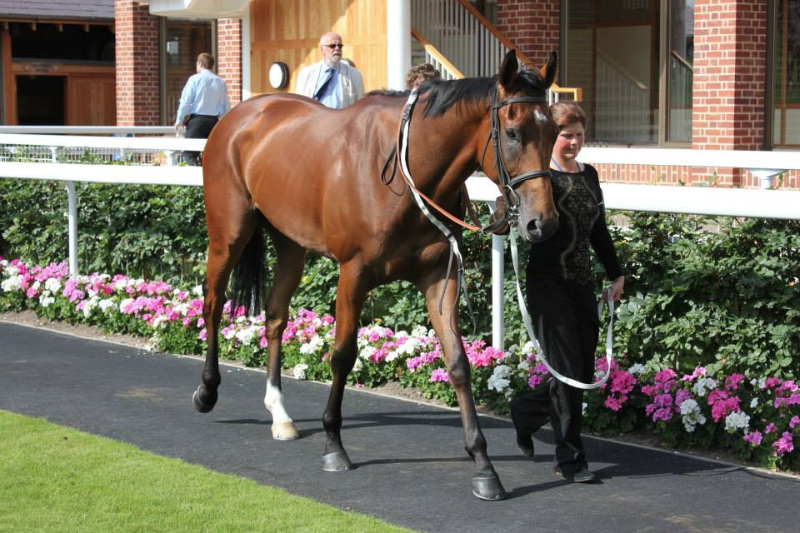 Lots to look forward to for her happy owners and an outstanding first day at school. 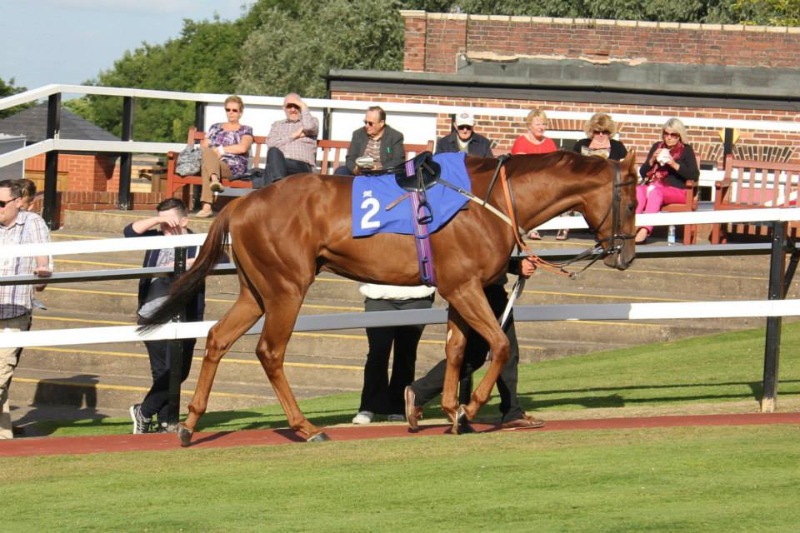 Tabikat Elle went to Doncaster on Thursday night and ran in a very nice looking seven furlong maiden and she was ridden by Freddy Tylicki. After being persuaded into the stalls Freddy was at pains to jeep her relaxed whilst the other runners were loaded. As the race started Tabikat Elle jumped out well and Freddy was happy to get a lead and sat in third place tracking the leading pair. 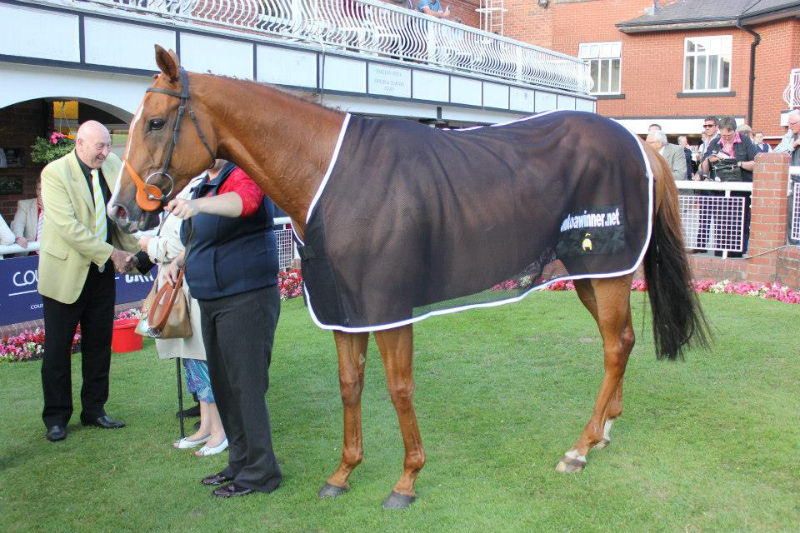 Tabikat Elle had no cover but was racing very professionally and had settled well on her racecourse debut. As the field raced down Town Moor Freddy was still looking happy as the field went past the three furlongs from home marker and just as the field reached the two furlongs from home, the field spanned itself out and apart from one horse at the rear all the rest of the runners had a chance. Freddy got to work on Tabikat Elle who showed some greenness not really knowing what to do as some more experienced rivals kicked for home. 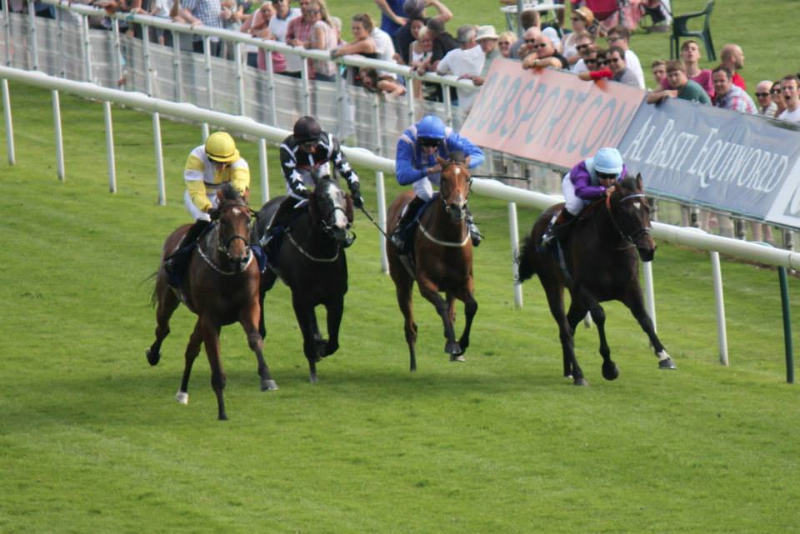 Inside the final furlong it looked like Tabikat Elle might drop away but inside the final half a furlong the penny began to drop and as the field went towards the winning line Tabikat Elle was running on again with Freddy being not unduly hard on her. 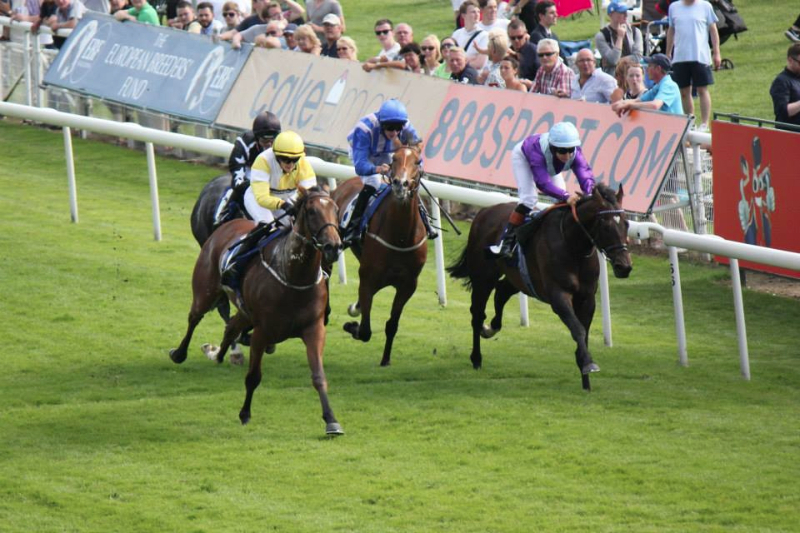 Crossing the line she finished in sixth position beaten only just over three lengths. 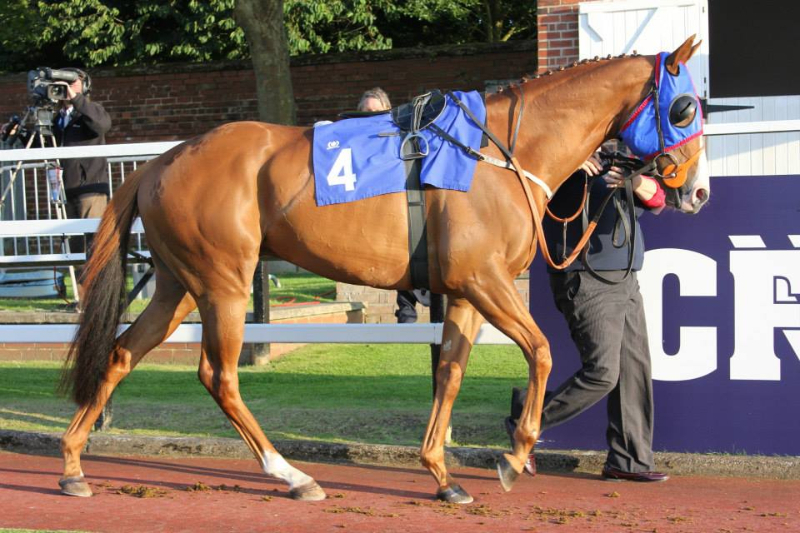 It was a nice introduction for TKEs first day at school and in a race that looked to have some decent animals it was a pleasing run and there is lots to look forward to for her owners in the coming months. 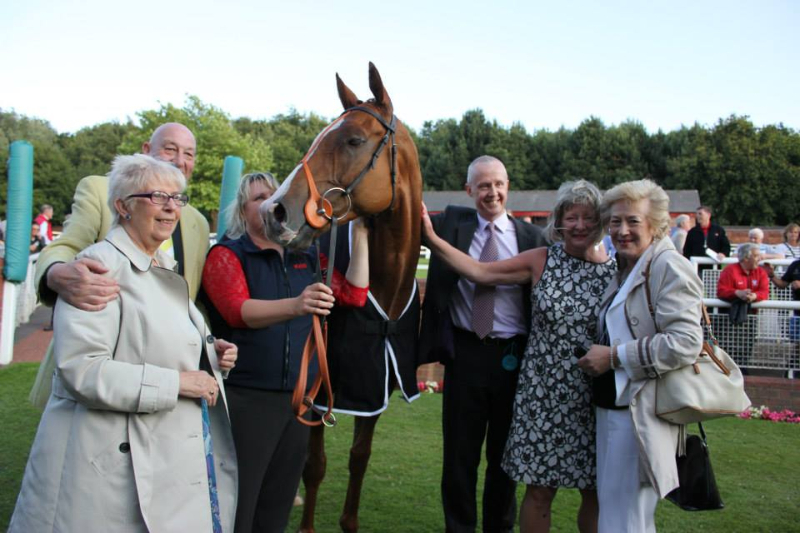 On a very bust Friday night we had four runners, two at Hamilton and two at Pontefract and all looked to have some kind of chance in their races. 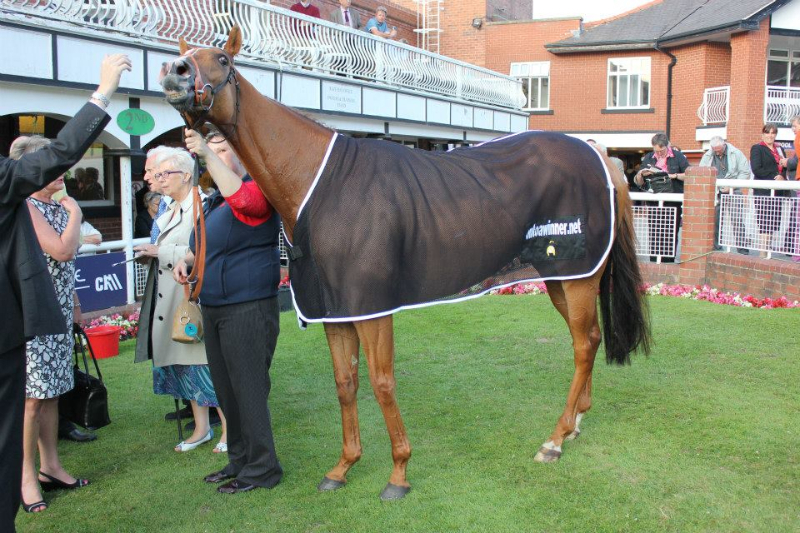 First up was Fazza and he ran in the one mile apprentice handicap and Joe Doyle rode. 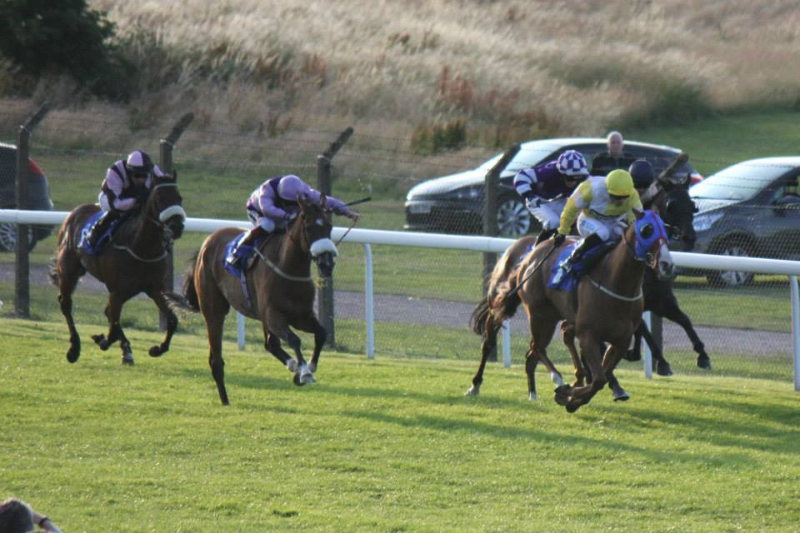 As the field left the stalls four runners went on and this left Fazza and the other two runners a couple of lengths adrift as the pace being set was a fair one. As the field got to the sharp turn into the home straight the leaders slowed the pace, Joe tried to get Fazza across but they were caught three horses wide on the turn. As the field straightened for home Fazza was stuck out on the wing of the field as the field made their way down the hill. Fazza seemed in good heart and was taking a good hold with Joe trying to keep him settled on the heels of the leaders. 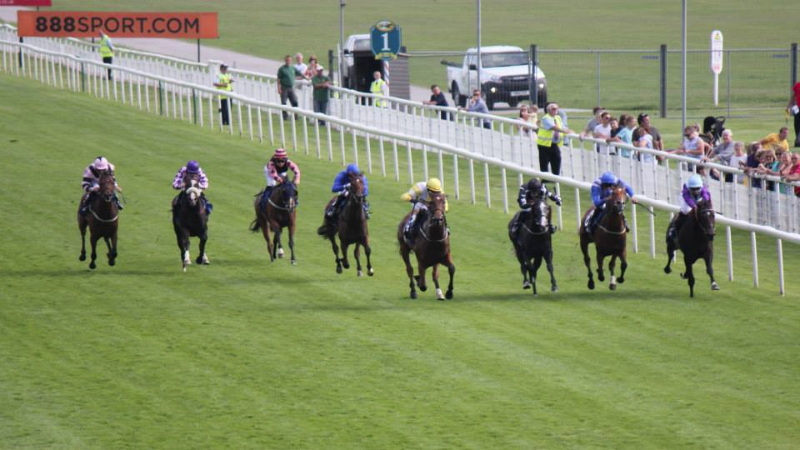 At the two furlong from home marker Fazza moved up and was sharing joint second place as the field grouped together. 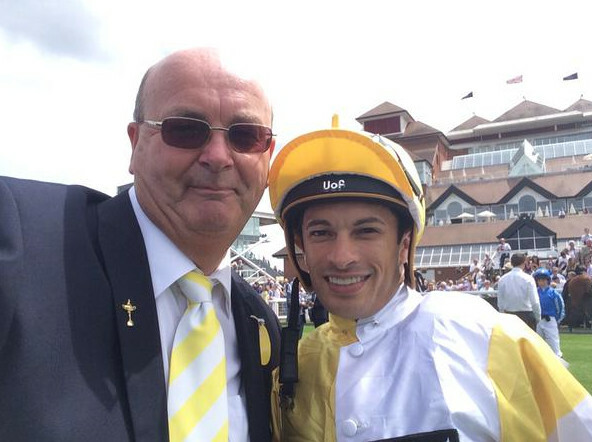 Joe got to work as a horse on their inside went for home, Fazza was still in with every chance as they entered the final furlong. 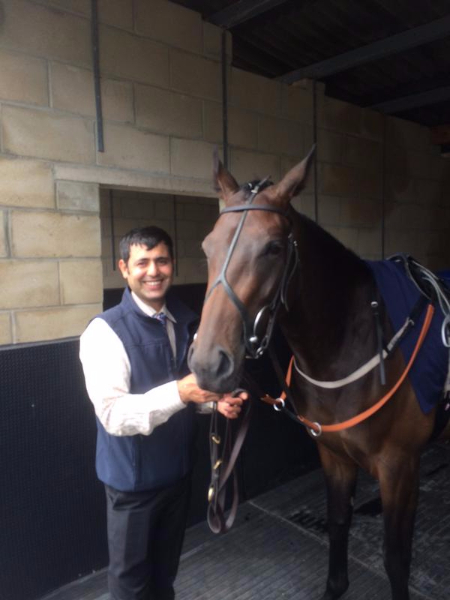 Another horse came on the outside of Fazza and they bumped into each other and Fazza was slightly squeezed for racing room. At this Fazza just dropped off the front two horses that went on, Fazza stayed running all the way to the line and finished in third place well clear of the fourth placed horse. 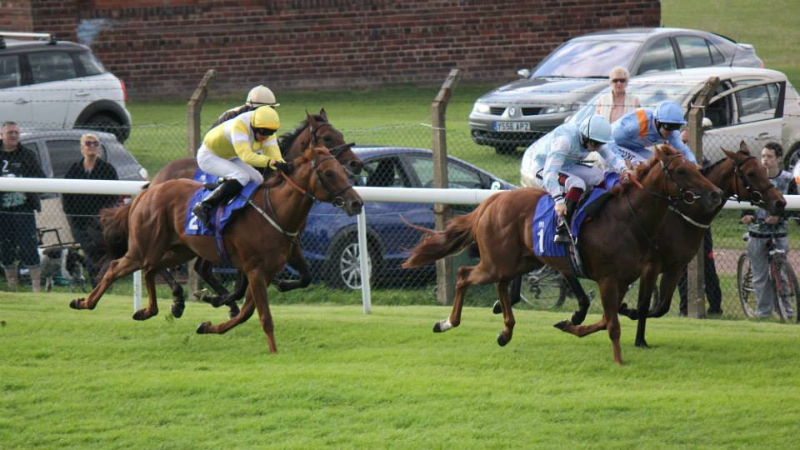 A good effort from the horse who ran another game race. 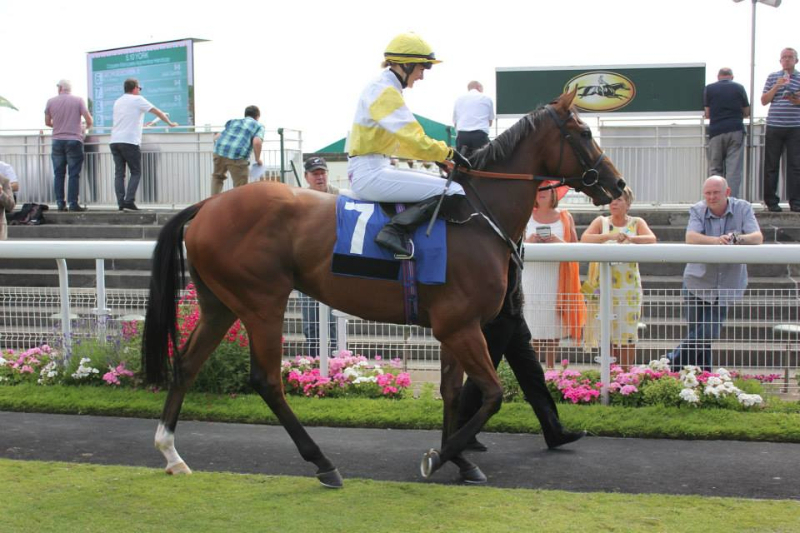 Flying Pursuit was up next and he ran in the opening race at Pontefract, a six furlong maiden and he was ridden by Duran Fentiman, with the going on the fast side of good. Flying Pursuit was drawn in stall six but as the stalls opened Duran kicked him forward and they got out in good fashion and they grabbed the rail position. As the field went down the side of the course, FP was joined on his outside by another horse and Duran was just niggling away to keep him in front as they made the turn into the short home straight. Duran entering the straight kicked for home and went a couple of lengths clear. Inside the final two furlongs Duran was hard at work as FP looked to maintain his lead and just at the furlong from home marker he drifted slightly off the rail and this allowed a horse to sneak up his inside and then he was immediately joined on his outside by another horse making headway. 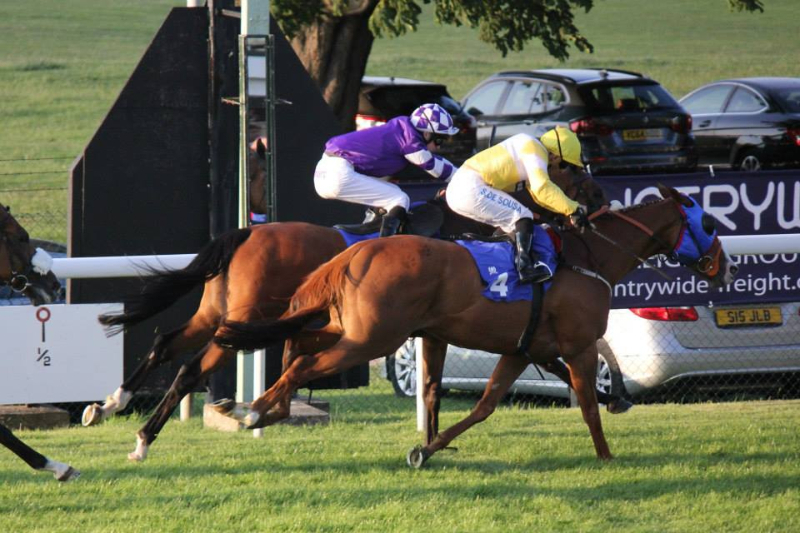 These two horses edged ahead of FP who tried to battle back and in the last fifty yards he was joined and passed for third place. Crossing the line FP had to settle for fourth place, another gallant effort from FP on ground that was faster than he would have liked. 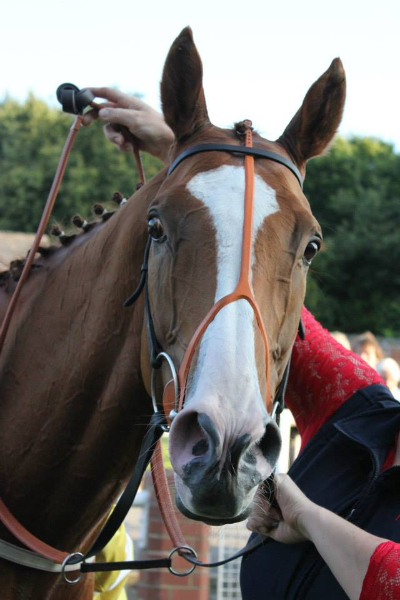 A win is hopefully just around the corner for this consistent horse. 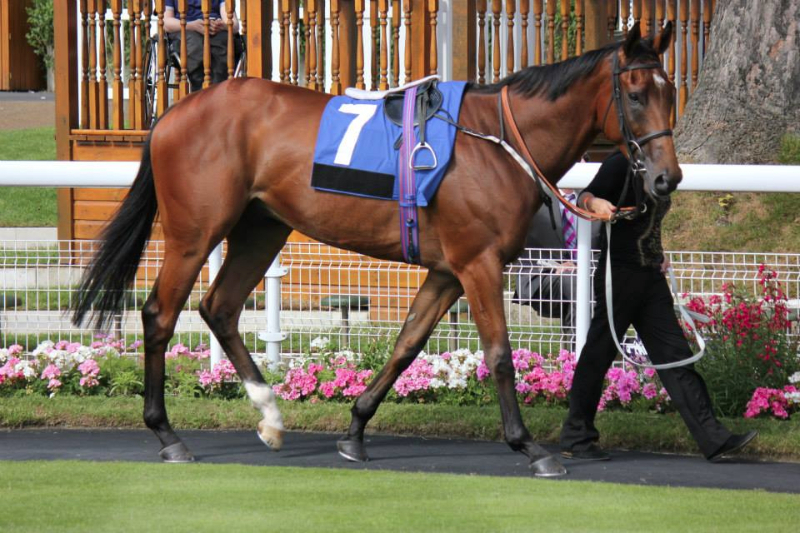 Fast Shot ran at Hamilton in the Scottish Stewards Cup over six furlong and Tom Queally rode, the ground had come right and he wore cheek pieces to try and spark some enthusiasm having been disappointing in his last couple of races. Breaking from the stalls the field spilt into two groups and Fast Shot was towards the middle of the main group of runners as the field made their way down the home straight with a good pace being set. Fast Shot with the cheek pieces was slightly lit up by them and Tom was struggling to get him completely switched off. Around two furlongs from the finish the two groups merged together and at this point the dash for home really began in earnest. Tom had to get to work on Fast Shot and even though he gave the horse a couple of awakeners with the whip there was limited response and inside the final furlong Tom wasn’t hard on the horse and allowed Fat Shot to finish towards the rear of the field. It was a very competitive race but his performance has to go down as another below par effort. 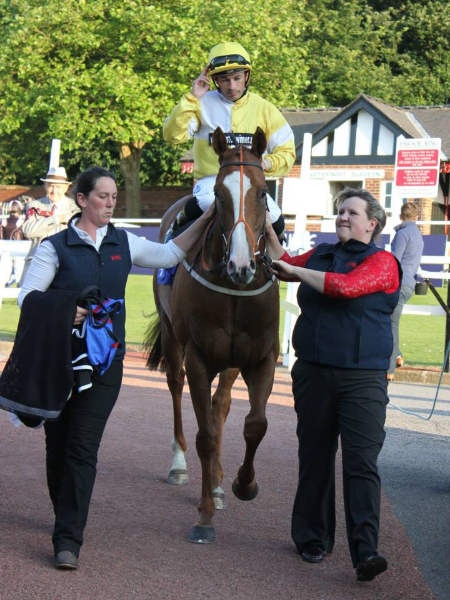 Last up on Friday night was Yourartisonfire who ran in the one mile handicap and he was ridden by Silvestre De Sousa. 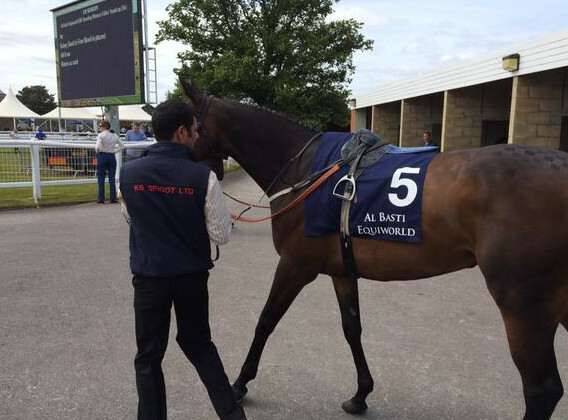 YAIOF had been given a break after his poor last run. 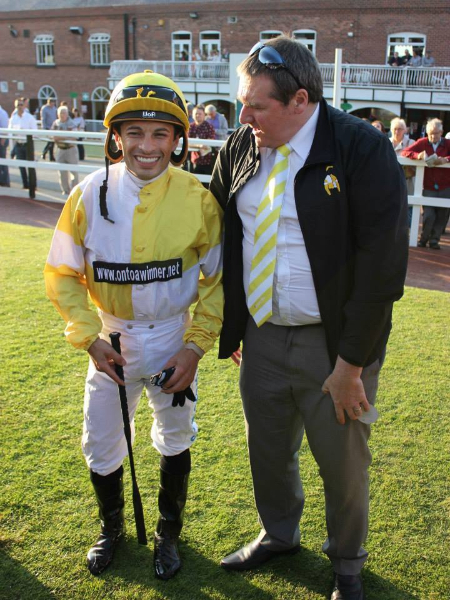 As the stalls opened there was plenty of pace on with two horses intent on making the gallop a fast one and Silvestre was happy to let YAIOF settle in fourth place just off the rails. Down the side of the course the pace was unrelenting with the two horses at the head of affairs pushing on from a long way from home. Just before the turn into the straight there were the first signs of distress from the leaders and at this Silvestre moved YAIOF closer to the leaders and although he was nudging away YAIOF moved closer stylishly. Turning into the home straight and just over a furlong from the finish Silvestre waited no longer and went for home and kicked YAIOF forward into the lead. Inside the final furlong his last challenger appeared in the shape of another horse that had tracked the early lead and was attacking YAIOF on his inside against the far side rail. Inside the final fifty yards Silvestre was hard at work as the other horse closed to within a neck but Silvestre and YAIOF wouldn’t be denied and although a photo finish was called YAIOF held the fast finishing runner up on by a head. 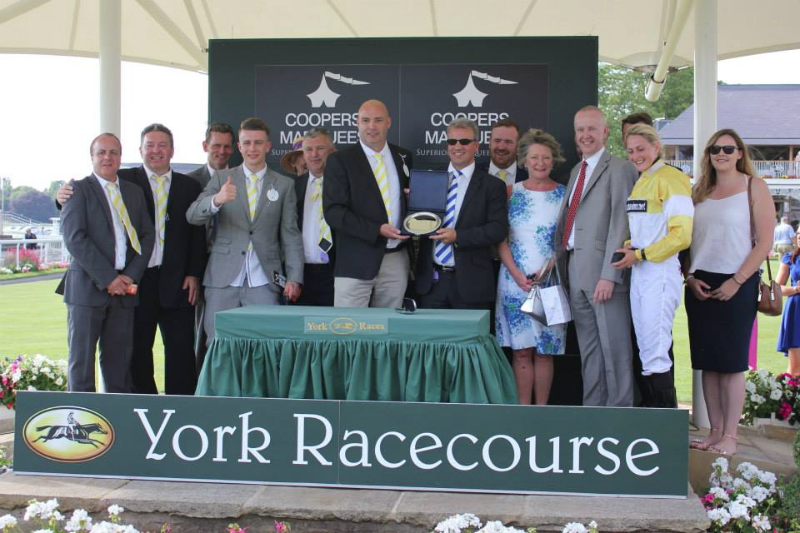 YAIOF and Silvestre had formed a great partnership and the desicion to give YAIOF a mid-season rest has worked out well as he is a horse who runs his best races fresh and he records a fifth career success in the Ontoawinner colours. 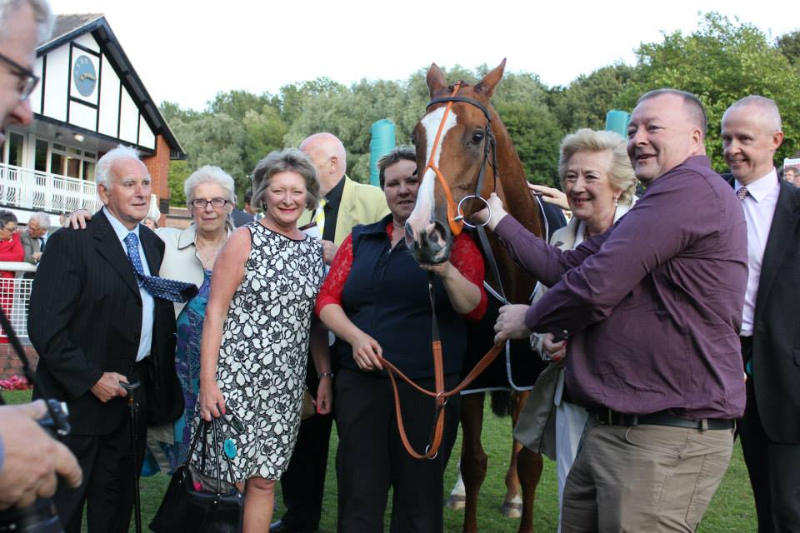 I am sure his joint owners Mr Rooney and Mr O’Shea on their pre-season tours will be just as impressed with another win. 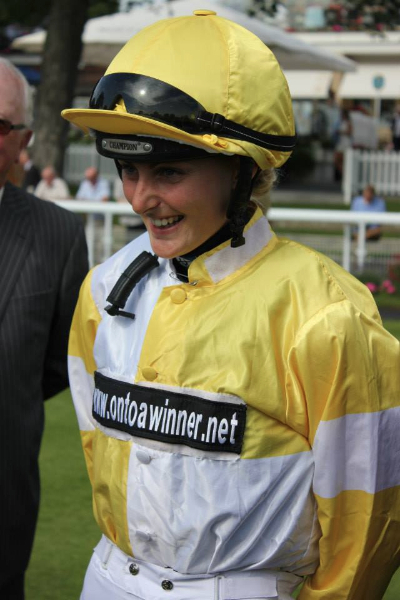 On Saturday we had two runners Little Lady Katie was first up when she ran in the one mile handicap at Newbury with Silvestre De Sousa riding. 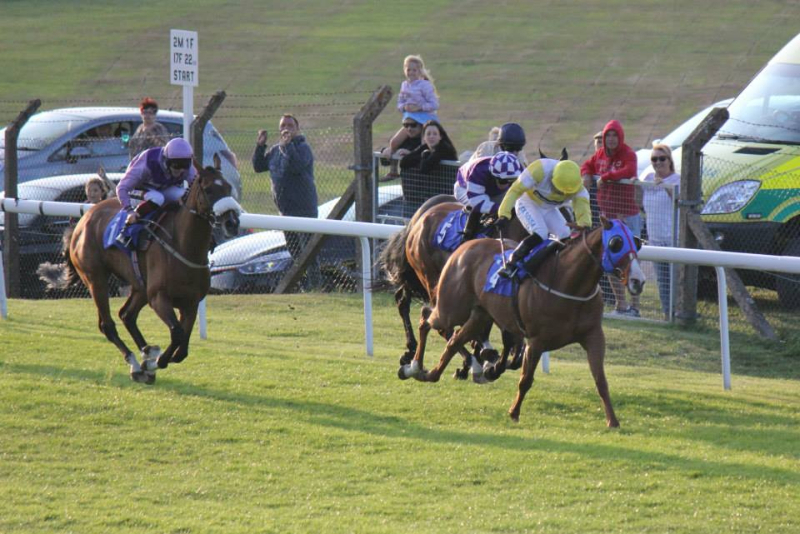 As the field broke from the stalls one of the horses was keen to lead and Silvestre allowed Little Lady Katie to take up a prominent position in second place chasing this keen going leader. The leader was setting a strong gallop and Silvestre keen not to give the leader too much leeway kept LLK on the leader’s heels. Just as the leader approached the two furlongs from home marker Silvestre began to push at LLK and she moved forward and joined the leader and they began duelling with Silvestre having to ride LLK along and for a few strides it looked likely they would take the lead, howe haver the other horse was very game and fought back to go half a length up again. This manoeuvre seemed to affect LLK and Silvestre was now hard at work. LLK then began to drift back through the field as the sprint for home started. Silvestre soon accepted the situation and allowed LLK to finish in her own time at rear of the field. The early leader fighting off all challengers staying on to win the race in determined fashion. On reflection the ground was fast enough for LLK and with the race not being run to suit she seemed to get disheartened by not being able to go past a determined leader when she wanted to. 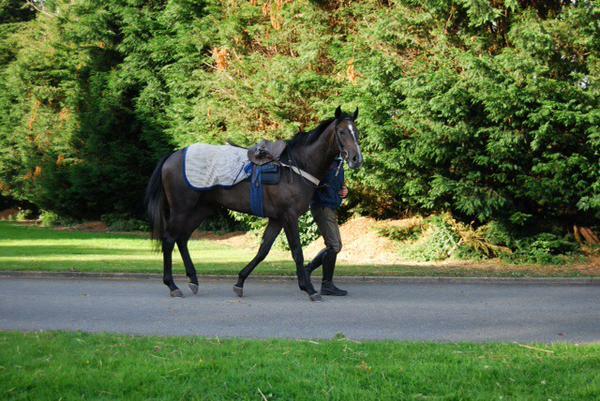 There will be other days for this filly in the future on better ground. 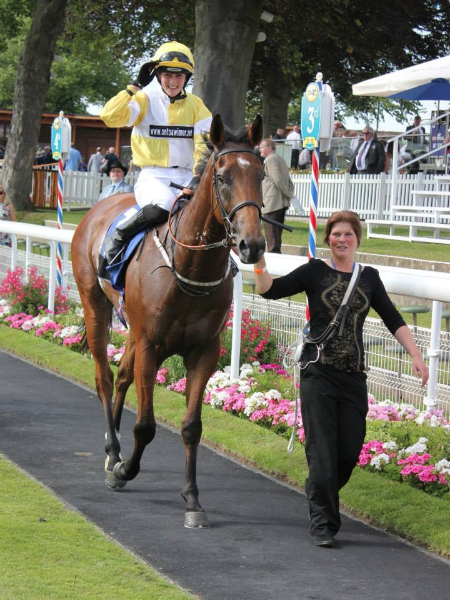 Our last runner of the week came at Ripon on Saturday when Carbutts Ridge ran in the five furlong maiden and Ben Curtis rode. Drawn out wide in stall three it was never going to be easy for Carbutts Ridge to get a good position in the race unless he broke well and showed some early speed. 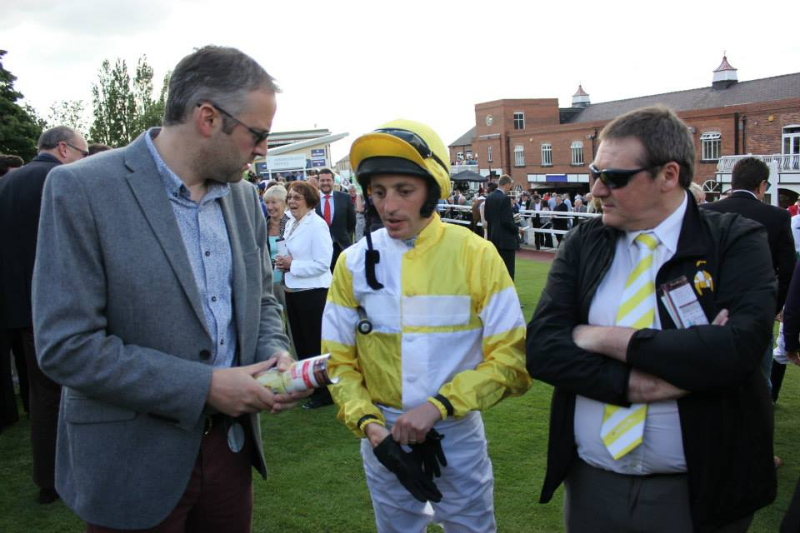 Just like he has done in his previous two races he was a little hesitant coming away from the stalls and by the time he got into full stride he was already on the back foot after the first furlong. 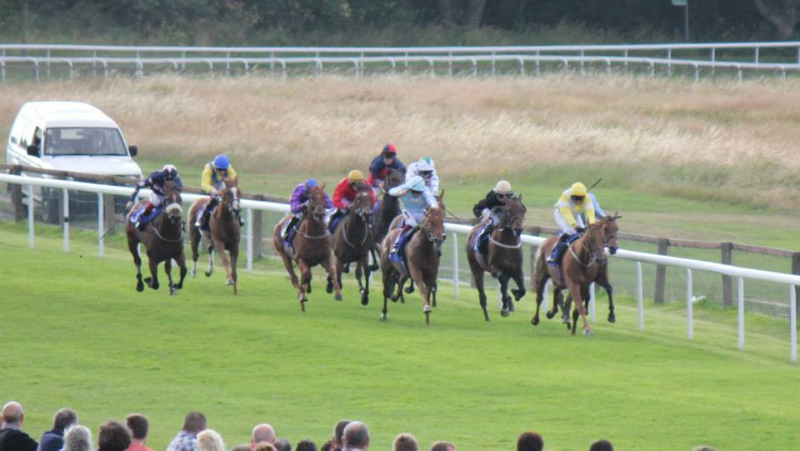 Ben had to push and shove him along as the field made their way down the undulations of Ripon. Carbutts Ridge was towards the rear of the field in the unfavourable middle part of the course but was not losing any more ground on the leaders as the field hit the half way marker. The favourite and ultimately impressive winner burst clear from the rest of the field winning the race easily, whilst CR continued on with Ben still teaching him to race and finished towards the rear end of the field. 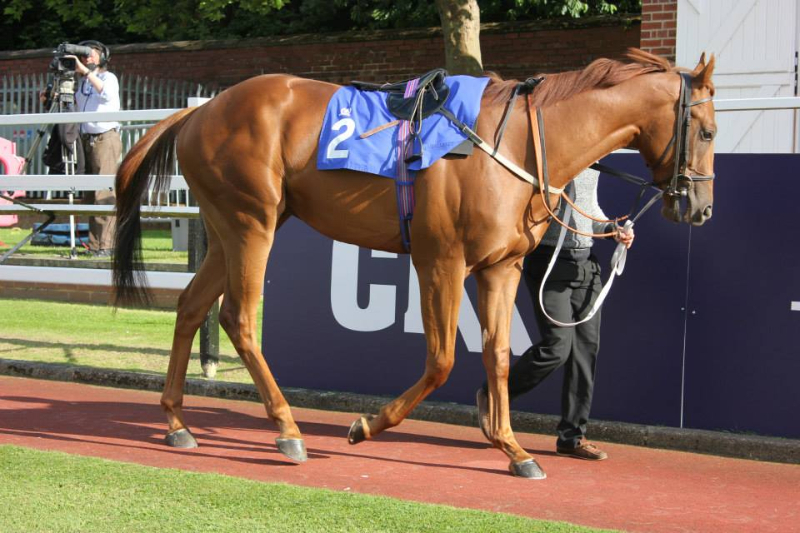 CR is a horse who shows ability at home but has just been a slow learner on the course when it comes to race days. Now he has had his three races he qualifies for a handicap mark and I am sure he will be seen to better effect in the right grade of race and stepped up in distance. 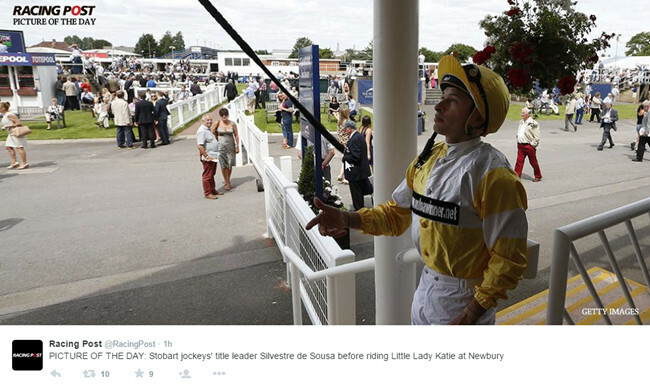 Silvestre de Sousa before riding Little Lady Katie at Newbury – Racing Post picture of the day. 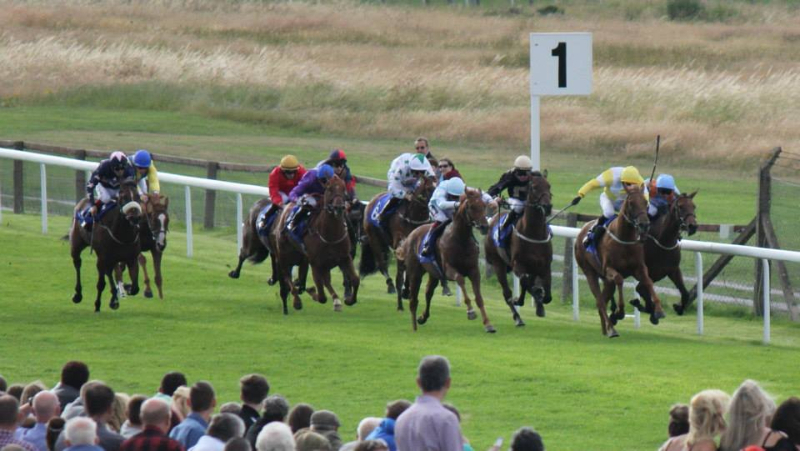 Teds Brother kicked off the week’s runners when he went to Ayr and ran in the seven furlong apprentice handicap and Rob Horny rode taking three pounds off. From the off Rob settled Teds Brother in the rear third of the field as usual. The field were strung out as the leader was setting a good pace at the head of affairs. Turning into the straight the leader kicked over three furlongs from the finishing and immediate had a lot of the other runners in trouble and Rob had to get to work on Teds Brother to try and make some headway. 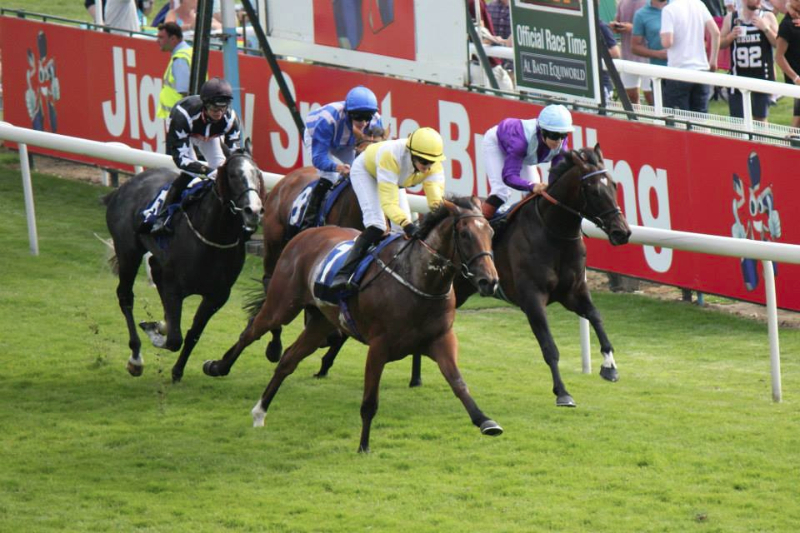 Inside the final couple of furlongs Teds Brother was making headway but the leader had gone beyond recall and although Teds Brother kept going all the way to the line he ended up finishing in sixth position. It was a fair effort over a trip just a little short of his best nowadays. 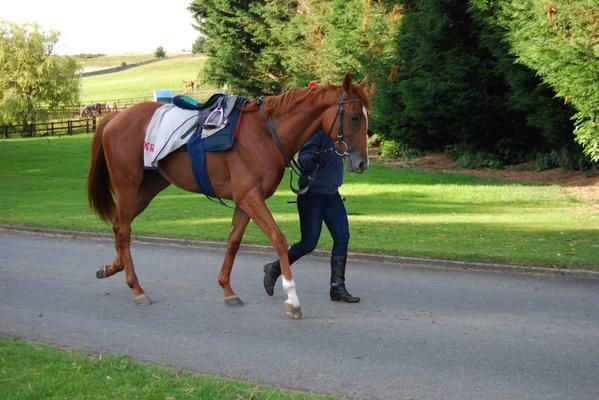 Wednesday afternoon saw Flying Pursuit and Mystical Moment both head to Catterick. 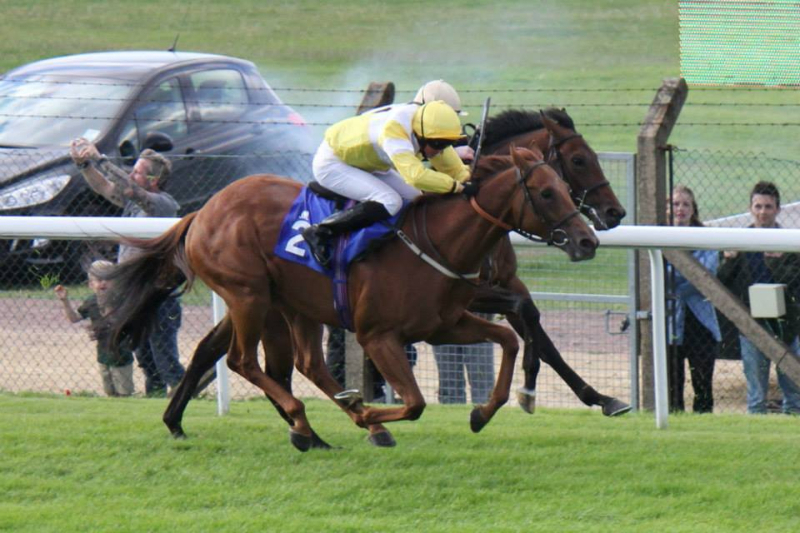 Flying Pursuit was up first and he ran in the opening race, a six furlong nursery and he was ridden by David Allan. 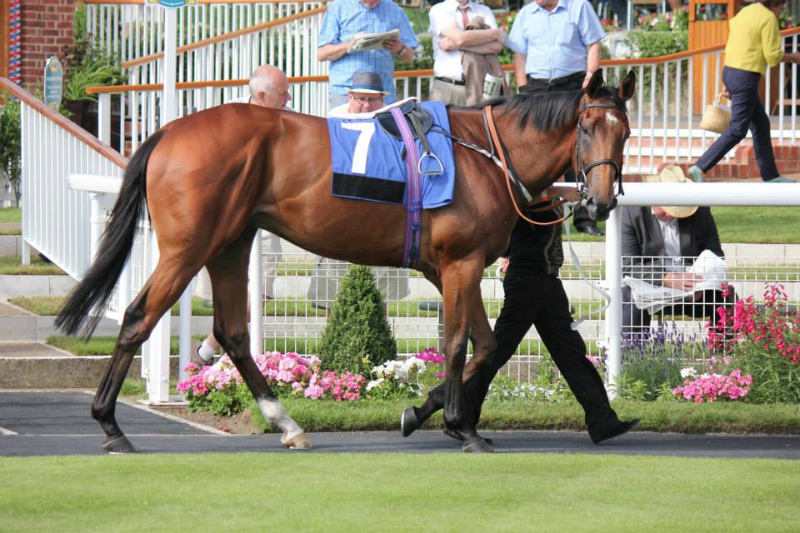 Flying Pursuit was still a tad babyish in the parade ring looking about and not fully settling. 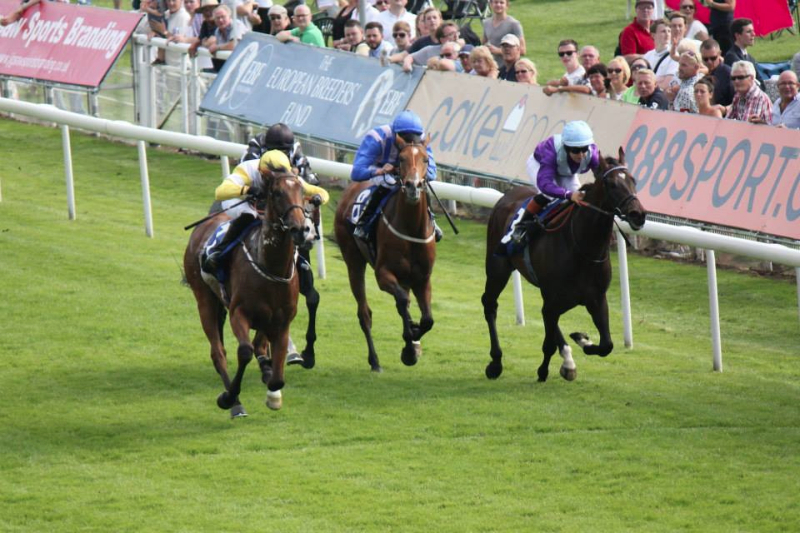 There were only three runners in the race but all had shown a level of ability and Flying Pursuit was receiving weight from his other two rivals. From the off David sent Flying Purist forward and into the lead as the three runners headed down the far side of the course. As Flying Pursuit led the other two runners down the undulating home straight David kicked Flying Pursuit in the belly and he soon had the Mark Johnston runner pushing along and in trouble to keep up. 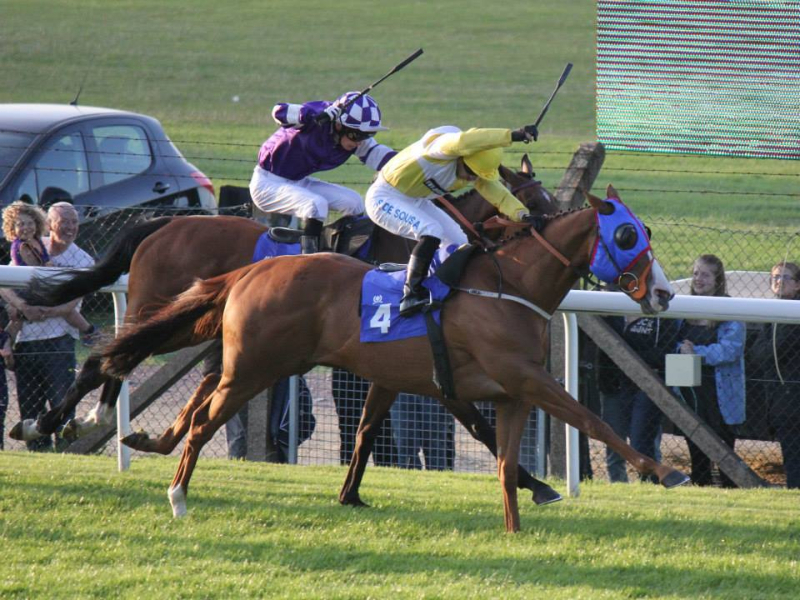 At this point the favourite who was following Flying Pursuit was angled out by her jockey. 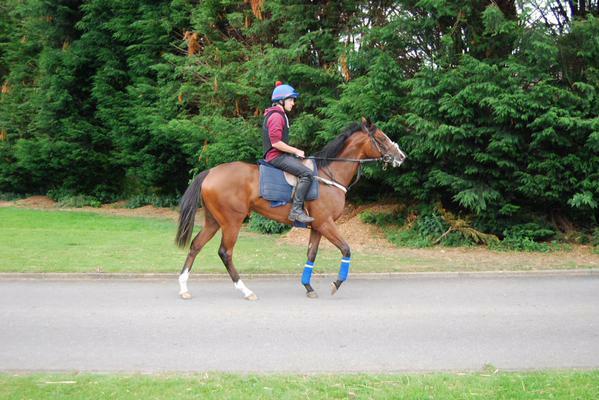 David had again asked Flying Pursuit for more effort and the horse responded and went a couple of lengths clear. Howe haver inside the final furlong the favourite showed a good turn of foot and closed the gap on Flying Pursuit who was trying his hardest and just in the shadows of the post the favourite joined and then passed him. Flying Pursuit had to settle for a brave second place against a horse that connections think quite a lot of. An excellent run from Flying Pursuit who unfortunately just seems to be running into some very nice horses, his time will come. 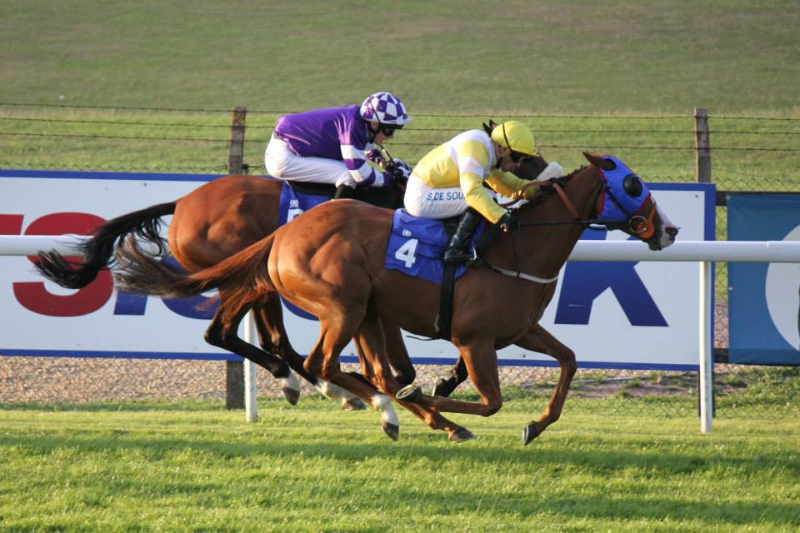 Mystical Moment ran later in the same card in the seven furlong handicap and Fergal Lynch rode. By this time in the afternoon the rain was starting to get into the ground which ultimately cost Mystical Moment finishing closer to the winner. 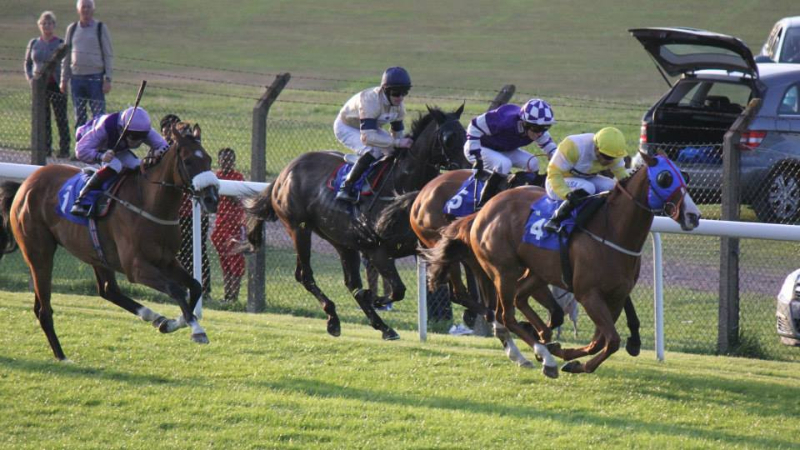 From the off MM jumped out smartly and Fergal settled MM in second place tracking the early leader down the far side. As the leader began to take the turn for home MM just had to be pushed along to keep up and many of her rivals in behind were also being pushed along as the leader was settling a very fast gallop. Down the home straight MM despite being under pressure was responding and just over a furlong from home she was slightly interfered with as another horse bumped into her. To her credit MM kept going all the way to the line as the leader began to get tired. MM herself was also being closed down as she started to get a little tired but she kept going and stuck out her neck to finish in third place. Another solid run from MM who on better ground would have gone very close to winning this race, a return to better ground should hopefully see her go close to winning next time out. 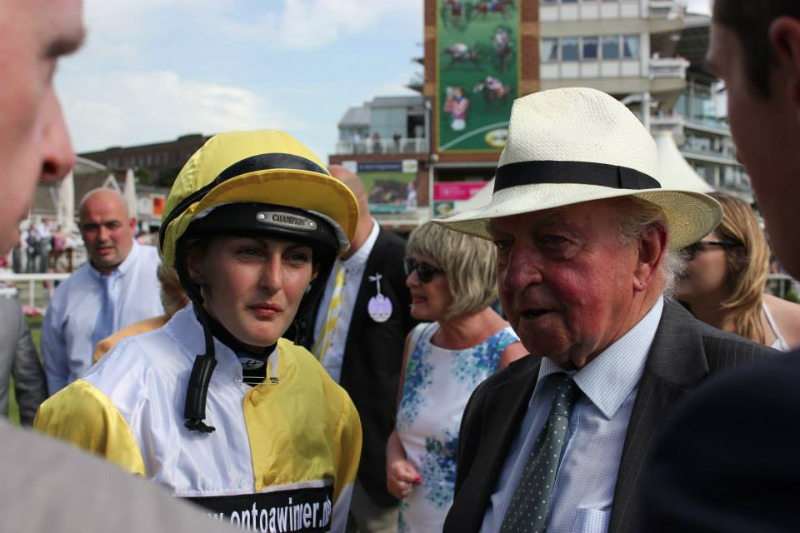 Sakhees Return finished our week’s runners off when he went to York and ran in the seven furlong apprentice handicap (the race that Ticking Katie had won last year) and Rachel Richardson rode. 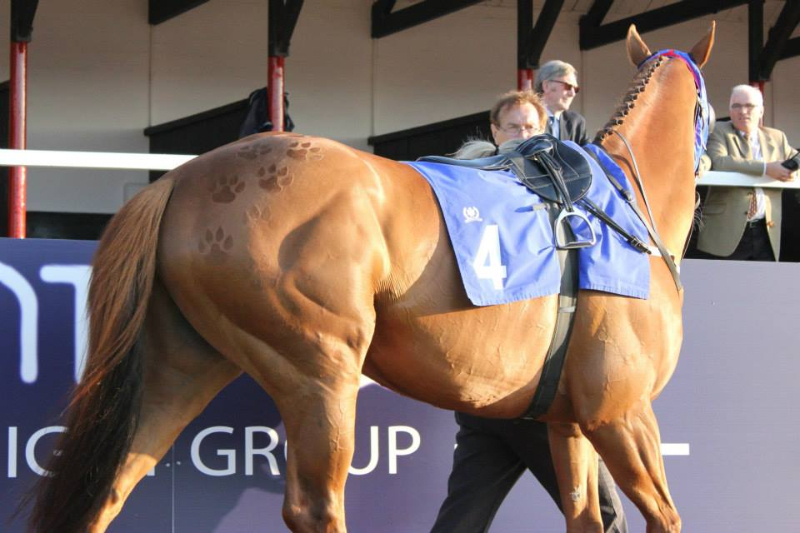 The horse looked fit and well in the parade ring and by the time he entered the stalls he had got a little sweaty around his neck due to the warm weather which had dried the ground up a touch. From the off Rachel jumped Sakhees Return out smartly and she took a pull on the horse and allowed a couple of horses to go past her whilst she got a nice tow into the race. As the field swung round the bend into the home straight SR was in third position on the heels of the leaders travelling nicely. 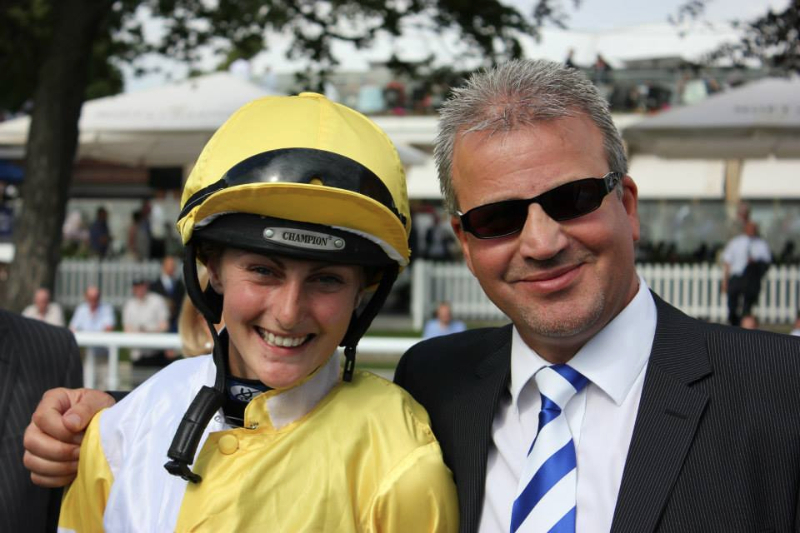 Around two furlongs from home Rachel allowed SR to stride forward and joined the two horses that had been in front of them and they were now contesting the lead. Rachel at this point shook her reigns and asked SR to pick up and to go forward into the lead. SR surged forward into the lead which soon become a couple of lengths advantage. Inside the final furlong SR just started to drift towards the far side rail as several horses came out from the pack to challenge him. Inside the final hundred yards Rachel kept Sakhee’s going and although another horse got to within three quarters of a length just before the line Sakhees pricked his ears and held on well. 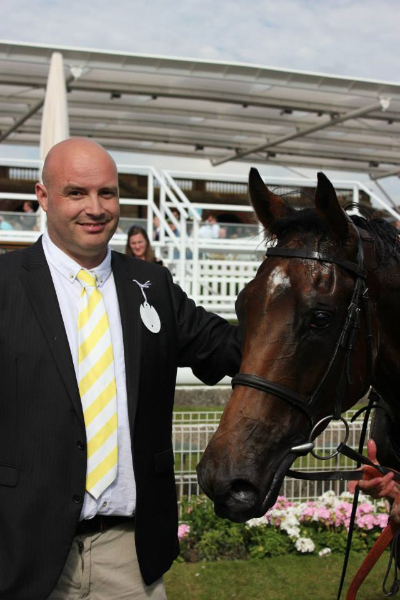 Another great run and win from the SR who has improved with every run this year and records another success for his owners, well done to all involved.